Stanislaus County Needs Carpet Recycling, NOT Incineration! Valley Improvement Projects is currently working to ensure that old and used carpet in Stanislaus County is recycled instead of being dumped in our local landfill or burned at the Covanta Trash Incinerator in Crows Landing. Currently, when a California consumer purchases new carpet, he or she pays a 25 cent per square yard fee that funds a state-wide carpet recycling program. Although consumers in Stanislaus County pay this fee just like everyone else, there are no drop-off locations for carpet recycling available in Stanislaus County (despite there being 3 locations listed on the county’s recycling webpage). Not only are Stanislaus residents paying for – and not benefiting from – this program, but because we have 1 of only 3 municipal trash incinerators in the state, some of that carpet may be burned instead of recycled, adding to the Valley’s already poor air quality and impacting public health. We respectfully request that: (1) the State ensures that the carpet stewardship program provide recycling services for residents of Stanislaus County, and (2) ensures that carpet is not being burned in the Crow’s Landing incinerator. Currently, when a California consumer purchases new carpet, he or she pays a 25 cent per square yard fee that funds a state-wide carpet recycling program. Although consumers in Stanislaus County pay this fee just like everyone else, there are no drop-off locations for carpet recycling available in Stanislaus County. Not only are Stanislaus residents paying for – and not benefiting from – this program, but because we have 1 of only 3 municipal trash incinerators in the state, some of that carpet may be burned instead of recycled, adding to the Valley’s already poor air quality and impacting public health. (2) ensures that carpet is not being burned in the Crow’s Landing incinerator. The American Lung Association’s State of the Air Report says four of the most polluted metropolitan regions in the U.S. are in the San Joaquin Valley. Of those, Modesto-Merced ranked No.4 for short-term particle pollution and No.6 for annual-particle pollution. Based on the number of unhealthy ozone or particle days, every county in the Valley – from Kern to San Joaquin and including Stanislaus – got an “F” grade in the report. These conditions contribute to the highest childhood asthma rate in the nation. Toxic metal and dioxin air emissions are monitored infrequently. During start-up and shut down of facilities they are not monitored, yet these times are when toxic emissions are greatest. Monitoring for these pollutants requires very expensive equipment for testing and not many labs are equipped to do it. The Stanislaus incinerator processes 800 tons of solid waste per day. The reason there’s no meaningful recycling program in Modesto is that our local regulators have contracted to feed the beast. Carpet is one of the typical bulky items sent to landfills or to incineration. But if designed right, carpet is highly recyclable. In 2010, California passed the Carpet Stewardship Act to make carpet manufacturers establish a recycling program for carpet. Unfortunately, the industry had no incentive to make it work because the program is funded by consumer fees paid on the sale of carpet. Using about $20 million per year in consumer fees, the industry created a program that increased recycling by 2 percent and meanwhile increased incineration of carpet by 5 percent. The carpet industry incinerates approximately 30 percent of the carpet its collects. Incinerating carpet results in some energy recovery. But compared to renewable energy (or energy from coal or nuclear generation), incineration has the highest capital costs, the highest operation and maintenance costs, and has the lowest capacity for output. Recycling makes much better use of carpet waste by replacing the virgin nylon (or PET) used to make carpet. It would also create more jobs. The Carpet America Recovery Effort is in charge of the stewardship program. They have done such a miserable job implementing the recycling program in California. CalRecycle, the state’s recycling agency, has found them to be out of compliance for three years in a row and is charging them $3.3 million in fines and penalties. It’s time to remove CARE from the driver’s seat and make sure California’s carpet recycling program actually recycles carpet instead of burning it. A bill in the California legislature – AB 1158 (Kansen Chu, D-San Jose) – aims to fix the program. If the carpet industry doesn’t succeed in removing language holding it accountable for specific rates of recycling by specific dates, this bill could help our children breathe a little easier. John X. Mataka is involved in the Valley Improvement Projects and Grayson Neighborhood Council; Miriam Gordon is a San Francisco-based consultant with the Global Alliance for Incinerator Alternatives. They wrote this for The Modesto Bee. 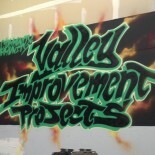 This entry was posted on August 29, 2017 by valleyimprovementprojects in Environmental Justice.